Feminine tea dress for women are delightfully romantic mini dresses that are so versatile, they can be worn in the day or as evening wear. This sleeveless wrap dress features an elegant flounce hem and armholes, so you can create your custom design and enjoy it - with frills on. Flattering and feminine, the neckline and cleavage are finished with a Silk Sensation binding which turns into a drawstring to tie around your waist, giving an hourglass shape. Available from XXS petite up to XXL plus size in a choice of crepe materials, this wrap tea dress for women is the perfect addition to any wardrobe. Flounce tea dresses for women are available in a choice of two feminine materials. Fashion crepe is an intricately textured stretch crepe that is full of character. Lightweight and durable, made from springy, spun yarn this double-faced fabric has a soft handle. Butterfly Smooth Crepe is extremely soft to the touch, a lightweight and floaty fabric which is incredibly sensual. With a subtle crepe sheen, this material shimmers beautifully in the light. The silk sensation binding finishes on the neckline and cleavage shifts into a belt tie, which threads through the button hole and ties at your midsection. This waist-cinching effect is fantastic for accentuating your natural curves and giving an hourglass figure. Lightweight but tough, with a textured surface and unique double face. Full of character, soft and stretchy. Smooth with a floaty drape and subtle crepe sheen.Ideal for summer garments. Within our design interface, you can choose to create your own custom labels for your tea dresses for women. 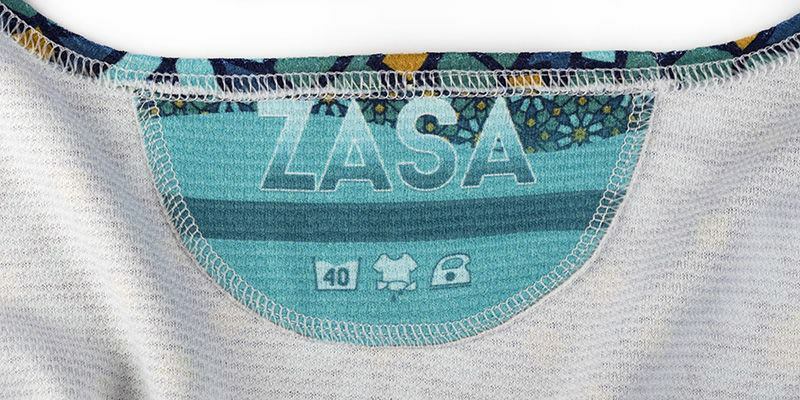 Each fabric label is custom made at the time we make your printed tea dresses, so you can customize with a message or your customer's name. Custom labels can really help build your brand - perfect if you intend to sell custom tea dresses as well as helping you to become instantly recognizable. The beauty of this custom wrap tea dress for women is the extreme versatility that they have to offer. Wear with custom espadrilles, grab a tote bag, and rock a pair of sunglasses to create the perfect beach look. Style with a pair of heels and a custom clutch to add wow factor to any event or party. Pair with trainers for an understated chic look. Custom tea dresses for women are so adaptable that they really are an all-rounder. How do I change the belt color? 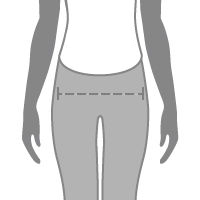 Within the design interface, you are presented with an option for the top stitch thread and binding. This allows you to change the color of both the thread that is used to stitch your custom tea dresses for women as well as the binding and belt. Are tea dresses for women easy to care for? Good news - they are! Both fabrics can be machine washed at 30°. They are both tumble dryer safe on low heat (but we would recommend hanging to dry) and they can both be ironed on a low heat if needed. Will I have good movement? You will indeed. Both of the fabric options for the custom tea dresses for women have amazing stretch qualities which allow for ease of movement and ultimate comfort. Both materials are also lightweight, perfect for wearing anytime. Browse a selection of designer tea dresses that have been made by our #ContradoCreatives.